Dining in Mykonos is an irresistibly spectacular—yet easy to enjoy—experience! International cuisine in exclusive restaurants, delicious sea food in small tavernas by the beach, souvlaki corners… Just name it and you’ve got it! But if you want to indulge in the real pleasures of this beautiful island’s authentic gastronomy, there are a few things you shouldn’t miss. Mykonos is the queen of super tasty, low fat sausages. So don’t even think of leaving the place without trying them and maybe taking a few with you back home! They come from baby pigs raised in family lawns and their secret lies in the rich content of lean meat instead of fat as well as their seasoning with fine aromatic herbs and spices that grow on the island. 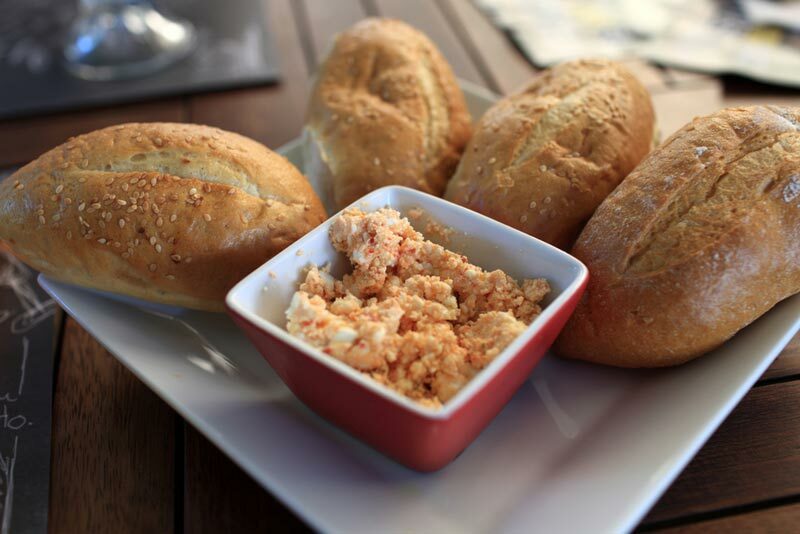 Speaking about cold cuts, don’t miss the famous Louza (or Loutza), Mykonos’ “national” product! This is the fillet from the pork’s back, dried out under the early winter sun and wisely seasoned with a blend of local herbs. It is a real delicacy that perfectly matches with a glass (or two!) 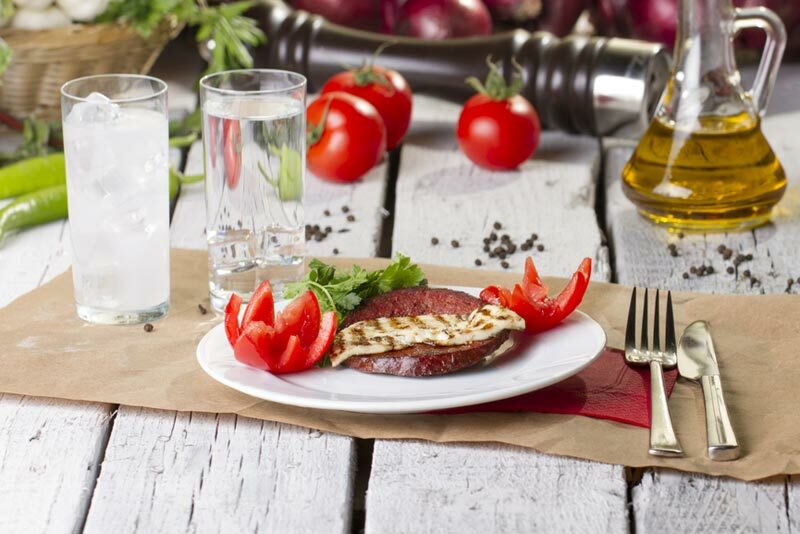 of ouzo and tsipouro, the super popular Greek pure alcohol drinks. 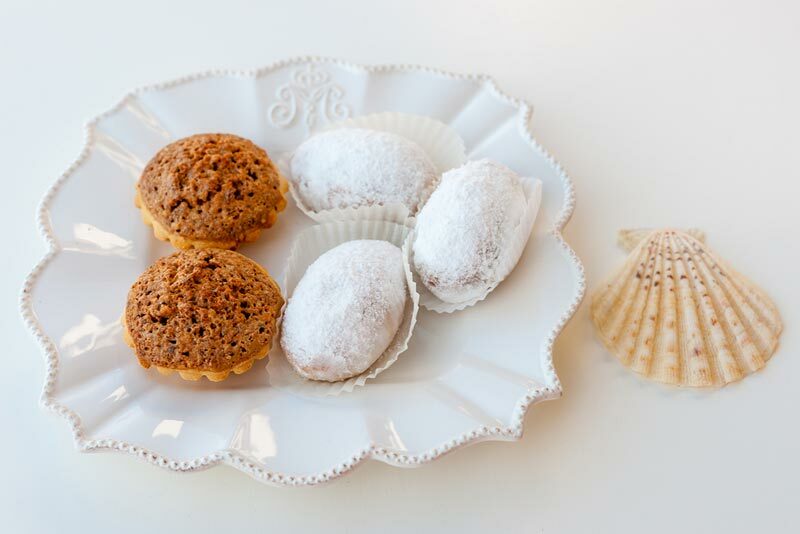 Last but not least are the exceptional sweets and cookies mostly made from almonds, flour, butter and eggs, with the addition of the tempting flavor of spices. Either you call them amygdalota or kalathaki you will surely love their uniquely balanced taste! And as we say in Greek, “Kali oreksi”, which means “have a good appetite”!